A year after making a $900,000 mistake, Swarm Technologies is raking in $25 million in a funding round aimed at getting a constellation of sandwich-sized satellites up and running for the Internet of Things. Getting the constellation in orbit could open up a big frontier for tiny satellites within the next year and a half. 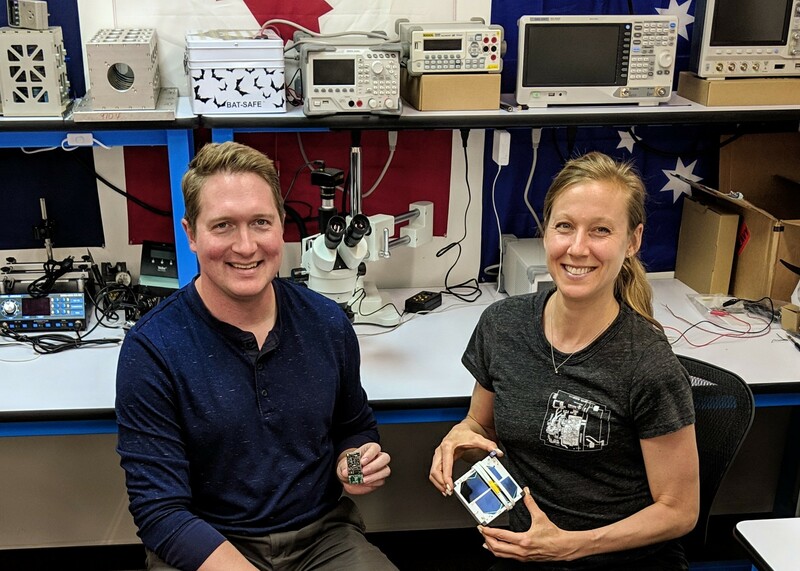 The satellites, known as SpaceBEEs, are so small that the Federal Communications Commission turned down the Silicon Valley startup’s application for a launch license last January. The mission went ahead anyway — largely because Seattle-based Spaceflight, the company that was taking care of the logistics for liftoff aboard an Indian PSLV rocket, didn’t know Swarm’s application had been rejected. Last month, Swarm agreed to pay the FCC’s hefty fine, submit to closer oversight for the next three years and draw up a detailed plan for compliance with the agency’s rules. “It’s probably sufficient to say we take all compliance issues very seriously,” Spangelo told GeekWire. This entry was posted in GeekWire and tagged FCC, Internet of Things, Satellites, Space, Swarm Technologies. Bookmark the permalink.